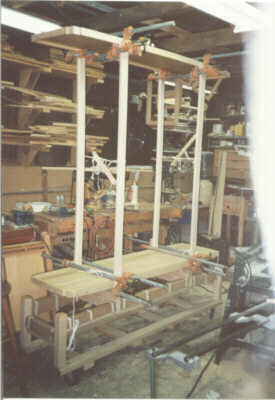 Here we're adding the vertical frame members. 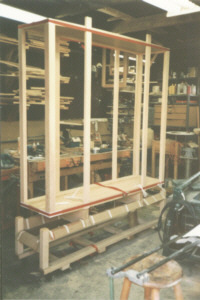 Because of the size and heavy weight of this cabinet, assembly takes place in an upright vertical position. This requires less moving around of the piece making it less prone to "dings". More pieces are added little by little. 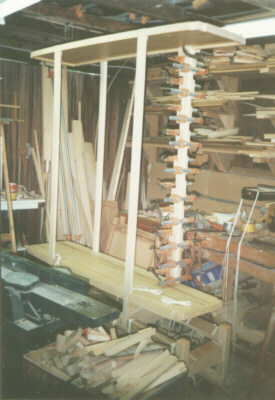 Note the use of short pipe clamps here. 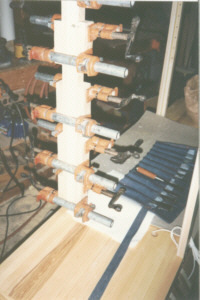 They provide much greater holding force than most "C" type, or other kinds of small clamps.